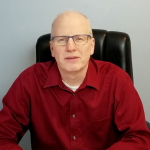 Dennis Riley is a business strategist and coach who champions entrepreneurs and business owners to achieve their desired results one goal at a time. Being a business owner for over 25 years has positioned Dennis to be a very desired asset for his clients. Dennis has a deep passion for being a business owner. He takes his experience and passion to every single client to help them achieve the levels of success that they envision for themselves and their company. Dennis started a custom software development business in 1994 with just himself. Over the years, Dennis grew the company to 10 full time employees. The technical field of software is a compelling, competitive and challenging field that really takes the business owner on a roller coaster journey. Dennis has felt the highest of highs and the lowest of lows. He not only survived but thrived for 20 years in this vertical market. Dennis then formed another company that consulted business owners in their software and technical needs. This has evolved into business strategy for the business owner. The very technical, system driven experiences used in running a software project can also be used to get results for the business owner. Using reverse engineering as the foundation, Dennis has created Start At Results. This skeleton system can be modified and adapted to many different projects. Our clients have experienced quantum leaps in their income, launched new product lines and services, and has laid the foundation to prepare a company to be sold. Dennis does hold a certificate in Certified Competent Coach. But the most learning he does is every time he tackles a new strategy with a client. Each client is very unique and so is the strategy that works for that specific client. Although no 2 strategies are alike, it is amazing how the actions taken can form patterns that can be used for all clients to learn in some form or another. Outside of his business, Dennis loves to spend quality time with his family and friends. Usually this time is spent watching or participating in sports especially hockey and baseball. Book your 20 minute no obligation complimentary Discovery session.